More so than any of Altham Oak’s products, our external and garden features offer the opportunity for customers’ imaginative ideas to be realised. 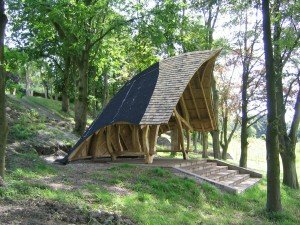 Unrestricted by any requirement to support heavy roofing or join to an existing building, the aesthetic qualities of the oak can be brought to the fore. Our unique handcrafted oak creations have graced the gardens of many a satisfied customer. 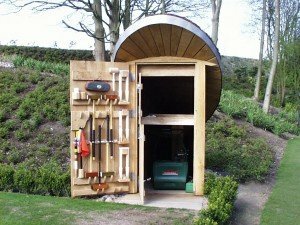 From sturdy sheds to quirky shelters and seats, our products are weatherproof, long lasting and fit for purpose. Perfect for storage, sitting out, alfresco dining – you decide. 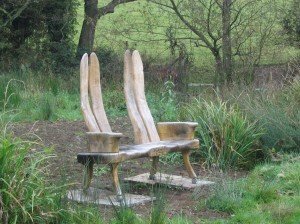 This 2-seater green oak carved bench was commissioned for a special anniversary. Due to our approach, our handcrafted seats are uniquely ergonomic, and shaped for comfort. Gazebos, Pergolas and Belvederes are all terms used to generally describe open sided garden structures which enclose space. 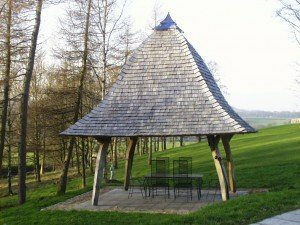 The gazebos made by Altham Oak are always tailored to each customers requirements.